The Telefunken M60 is a small-diaphragm cardioid FET condenser microphone designed to deliver fast transient response and accurate, yet musical frequency reproduction for musicians and recording engineers in home, project, and commercial studios. The M60 FET body features a custom-wound transformer, an active FET transistor, and a Class-A discrete amplifier. The included TK60 capsule utilizes a 6-micron, gold-sputtered membrane and exhibits a cardioid polar pattern. The M60's 130 dB maximum SPL, 20 Hz to 31.5 kHz frequency response, low self-noise, and fast transient response make it ideal for critical capture of a wide variety of instruments and room ambience. The supplied shockmount isolates the microphone from vibrations that would otherwise be transferred through the mic stand. A windscreen is included for reduction of noise from gusts of air. The M60 includes an XLR cable and a zipper carrying case. The M60 package includes one M60 amplifier paired with a TK60 cardioid capsule, which features a 6-micron gold-sputtered membrane measuring 15mm in diameter. It offers surprisingly full low end and a quick, accurate transient response. The frequency response is flat from 150 Hz to 7 kHz with a smooth, airy presence peak at 8 kHz, making it ideal for drum overheads, hi-hat and ride cymbals, piano, acoustic guitar, and other acoustic instruments. The M60's incredibly quick transient response captures nuances and subtleties with impressive precision and clarity. This results in an extremely detailed sonic image with definition and presence, perfectly suited for the complex character of stringed instruments and percussive sources. Utilizing a proprietary circuit topology, this re-interpretation of the classic FET mic amplifier produces exceptional transient response and SPL handling capabilities. Carefully selected and tested components are hand-plugged into gold-plated circuit board traces to provide an ultra-clean true Class-A discrete amplifier with a frequency response of ±2 dB from 20 Hz to 50 kHz. The output is matched with a custom American-made transformer that offers an especially low self-noise and a typical THD+N of 0.015% or better, making it ideal for critical recording applications. The M60 FET amplifier body is finished in a durable, lightly textured black powder coat adorned with the historic TELEFUNKEN diamond badge. 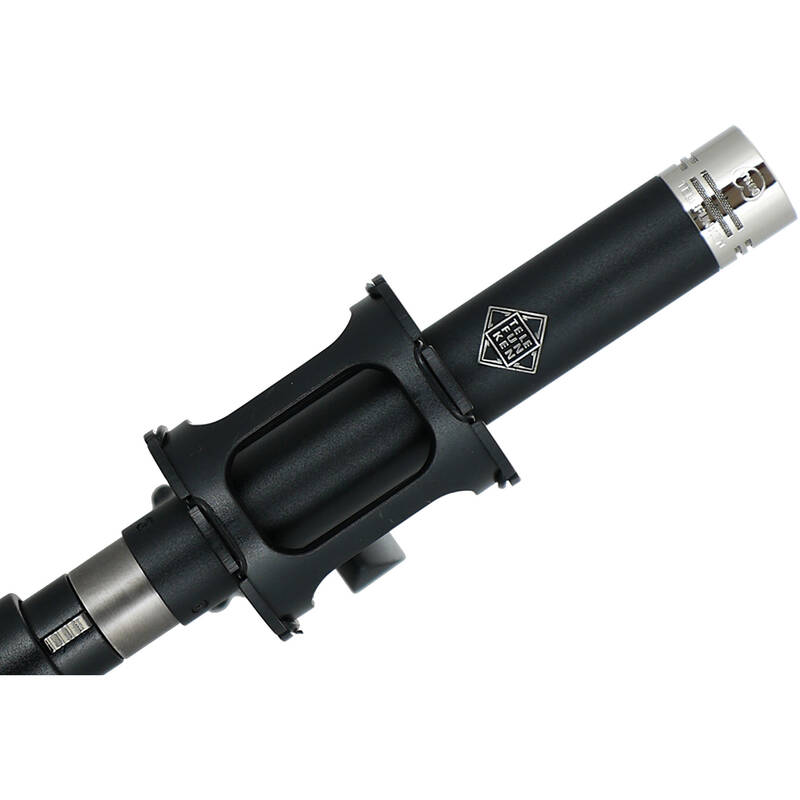 The microphone's XLR connector shell complements the look with a matte black nickel-plated finish engraved with the model and serial number. The TK60 capsule features a bright nickel-plated enclosure with a fine gold mesh pattern. The M60 system ships complete with one SGMC-5R XLR cable with a right-angle female connector, an M 761 elastic shockmount, and a foam windscreen, all packed in a ZC61 zipper carrying case.